We have another online storage auction for you! With the success of our last online auction we’ve decided to carry on! There is currently only have 1 auction available online. To find our current auction go to this eBay page. To make a bid you can either bid on eBay or by emailing your bid to StorageGiantAuctions@outlook.com. If you have any questions about our online auction then do not hesitate to contact us with the email address listed above. 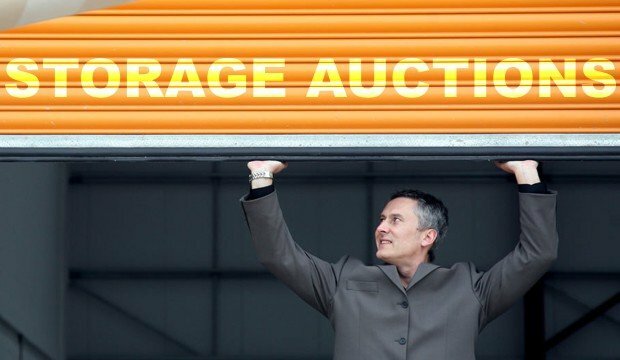 If you would like to be notified of any upcoming storage auctions then sign up to our storage auction newsletter. NB: All auction sales are final, and no guarantees or warranties are being offered or implied. All items are sold as seen and no returns or refunds will be entertained. The unit contents have not been investigated and only some items which are clearly visible from the door have been itemised in the auction listing. However, this should not be construed as an accurate and/or exhaustive list of the items contained in said unit. Any storage trolleys contained in a storage unit remain the property of the storage company. The entire unit contents must be cleared.